Preparing for a recession is similar to preparing for a tropical storm: There's no way to predict just how bad things will get, but burying your head in the sand and hoping for the best is a horrible idea. Here are a few things you can do to stormproof your finances against the coming economic slow down. The first thing you do when prepping for a storm is prepare your home for the onslaught. People in coastal areas board up windows and surround their homes with sandbags. An emergency fund does the same thing financially. It's the added installation and protection that can assist you when the economy dips. It can't stop the winds, or prevent the rain, and it may not stave off all damage, but it does provide an added layer of protection. And it provides you a fighting chance to preserve what you've worked so hard to build. The traditional emergency fund is anywhere from three to six months' worth of daily living expenses — and even larger for people with high expenses, large salaries, or a job that would be difficult to replace. During lean economic times, you want to save more than the standard recommended amount. Another thing people do during an impending natural disaster is purchase supplies and nonperishable food items. This ensures that they will have something to eat during a major power outage and food shortage. 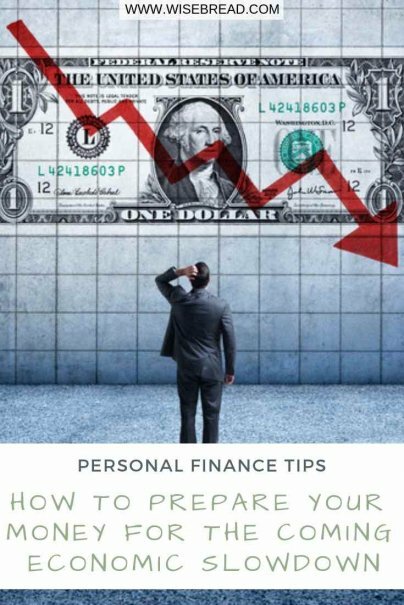 Adjusting your budget by reducing expenses in preparation for a financial disaster follows the same principal. Even though during a disaster you can't eat steak and lobster, you do still eat. The same is true when money is tight. One nonfinancial thing you want to do when you feel the economic winds of change blowing is evaluate your career skill set. You have a primary job that you do. But you also have a bunch of little ancillary functions you perform. These things translate into job opportunities, or — at the very least — bullets on your resume. The stock market usually tanks — or at the very least, becomes extremely volatile — during an economic downturn. Financial experts always advise you not to pull your money out of an investment in a moment of panic. Fear should never drive your decisions. Go ahead and look at your investment portfolio now and see if there are any changes you'd like to make. Risky funds will probably lose money during a slowdown, but they also rebound quickly during economic recovery. And safer investments may not lose much, but you won't make much, either. They cancel each other out.